Large retail stores like Home Depot offer many discounts, coupons and special programs that can save a lot of money. If you have a home improvement project or two to get done, you will want to look into these opportunities. One of the keys to finding the best deals on home improvement is patience. If you have a large project, collect a few of these tools and wait for the right time to buy. Last-minute and emergency shopping is not a good way to save money! One of the easiest ways to save money at Home Depot (and many other popular stores) is to buy discounted gift cards. No, you don't have to give them away, instead use them yourself. How does this save money? Instead of paying for your purchase at the store with cash or credit, you will use a gift card that you have already purchased. There are many places to buy gift cards and you can save anywhere from 7-30%. For example, if you buy a gift card valued at $200 through a service like Gift Card Granny with a 7% discount, you will pay only $186. That $14 may not seem like much, but when it's paired with more of these money savings tips, it can add up. Tip: Discounted gift cards are a great way to save a little cash on large ticket items. Store loyalty programs are a great way to save money at the stores you shop at most often. If you are a regular at Home Depot, sign up for The Home Depot Garden Club. You will receive emails with special members-only coupons for free plants, buy-one-get-one-free offers and more. Check your email often to see what offers are available and plan your shopping trips around the expiration dates. Tip: Signing up for email promotions from any store is a great way to save money, but it will produce email clutter in your inbox. Get a free email account through Gmail or a similar service and direct all of your shopping promotions there. Check in regularly or before shopping to see what discounts are available. Before you head to the store, do an online search for "Home Depot coupons." You're sure to turn up something that you can print and take with you. Also, if you have your eye on a particular appliance, grill or a similar big purchase, search for the manufacturer's coupons. Save coupons and pair them with Home Depot's weekly ads, deals of the day and other special offers. You can knock the price down significantly if you're patient and buy at the right time. 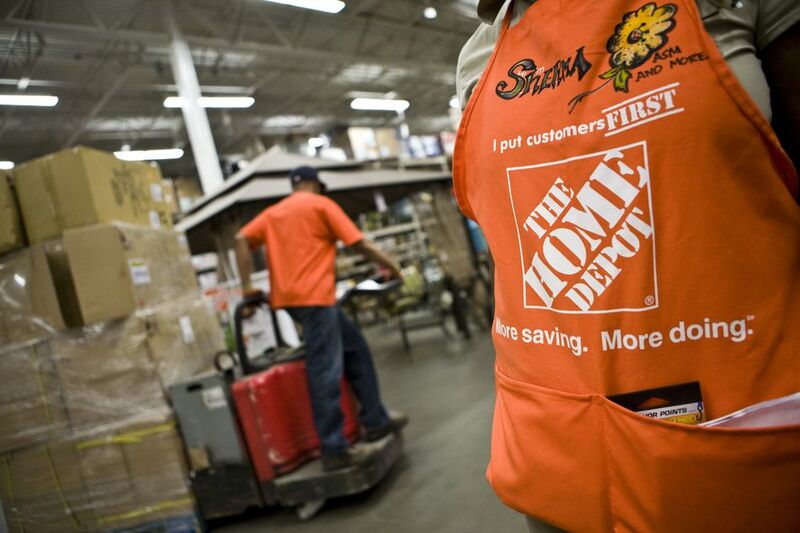 Tip: Browse Home Depot's Rebate Center to find rebates on big purchases. Be sure to follow through with the rebate process or you will not recieve your discounts. It pays to compare prices. Find a better deal on an identical item at another store and Home Depot will beat their price by 10%. This applies to in-store purchases only and you have to bring proof of the competitor's price to the checkout register. Tip: If your local store doesn't have an item in stock, they can get it shipped to the store for free. You can still take advantage of the price match discount. Bad things happen to good merchandise. Locate the oopses and leftovers in your Home Depot and you'll be rewarded with some very big savings. Tip: Many stores have a no-return policy on these discounted items. Be sure that you are buying exactly what you want or need and inquire with a sales associate. Most Home Depots have several clearance sections throughout the store. Find them and check them regularly. Tip: More often than not, clearance sections are not in the most obvious or prominant locations. Walk through the back of the aisles and look for mismatched merchandise hanging in one section of each department. Flash your military ID and get 10% off of your total purchase (up to $500). This offer applies to all active military personnel, reservists, retired or disabled veterans and their immediate family. All other veterans can snag the same 10% discount on Memorial Day, the Fourth of July and Veterans' Day. Tip: There is some discrepancy as to the finer details of the store's military discount policy. It's best to check at your local store or call Home Depot's customer service to inquire prior to relying on this for guaranteed savings.